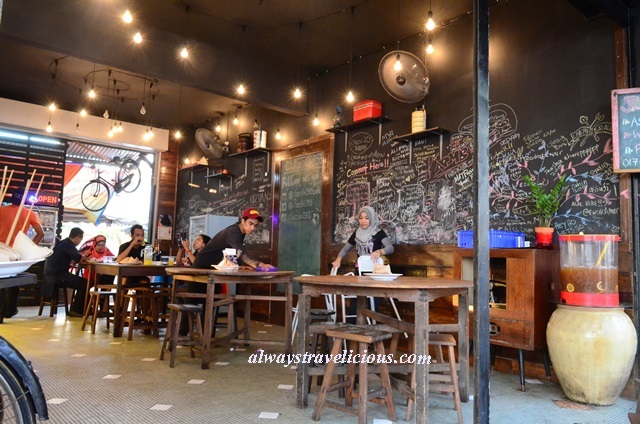 Classix 253 Cafe @ Ipoh - Always Travelicious ! 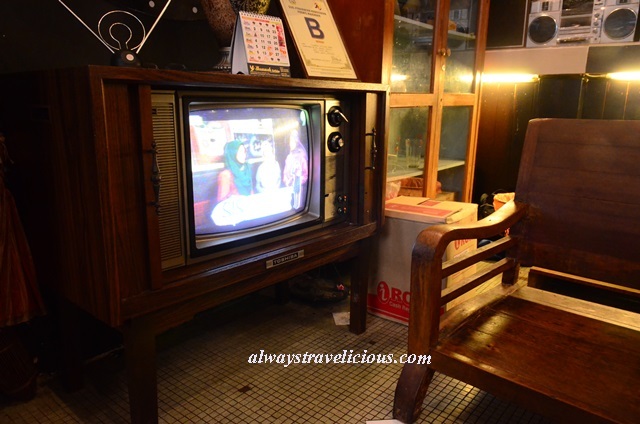 The interior is surprisingly kampung-inspired with old cupboards, cups, lamps and tiffin carriers. The cafe is spiced up with a massive chalk board free for patrons to leave their comments. The food served here is Western, including burgers, grills and pasta. 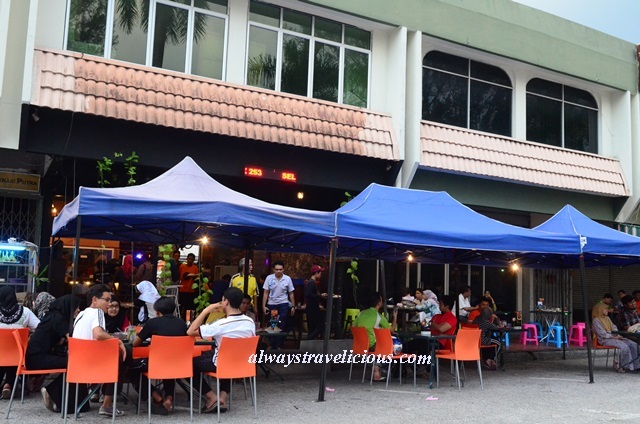 The cafe offers an astonishing promotion dinner set of chicken chop + coleslaw + ice lemon tea and sets alike at between RM 5.50 – RM 6.50, during the time from 5 – 7 pm for the first 50 pax. Now I know why this place is packed with people when I’ve driven past this place at around 5 pm, which is seriously way too early for dinner. 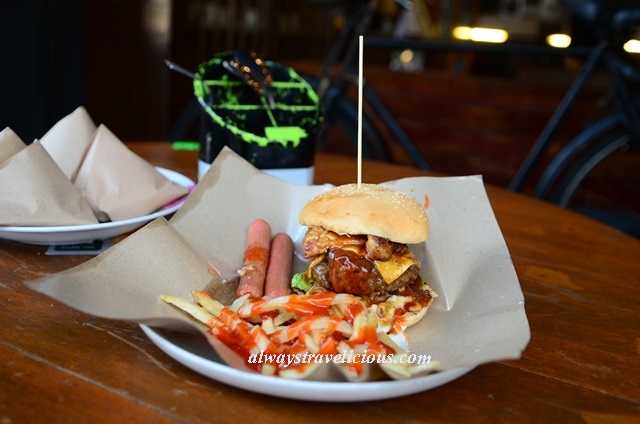 I took the Mixed Burger Grill 253 (RM 13.90), and came a giant burger with a thick slab of beef patty, a slice of chicken, two sausages, a slice of cheese and a bunch of chili-sauce-drizzled French fries. That’s too much for me to handle I could only finish the meats without all the carbohydrates. The beef patty is moderately juicy and it has an interesting gelatinous bits of tendons (my guess). The tendons created a contrast in texture but it was too tough I could hear it crack in my mouth. The food is most likely prepared in advance because as it arrived cold – but I shouldn’t complain too much considering the portion and the value. 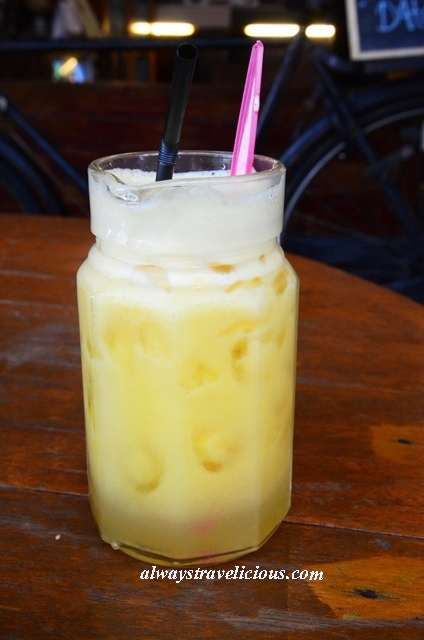 The Honey Punch 253 (RM 4) is another sizeable jug with pineapple, orange juice and sour plum. If you are looking for the cafe, it’s the building with the blue tents not too far away from the Petronas Gas Station in Fair Park. Things are pretty value for money here ranging from RM 4 to RM 15 , while set dinners including soup, dessert and main course are in the range of RM 10 – RM 15. Last nite i went there….was suprised with the foods….value for money actually…i ordered mixed grilled sets…but shocking its was near cold tempt….but i enjoyed the ice lemon tea….the best i tasted…free refill……that value for $$$….